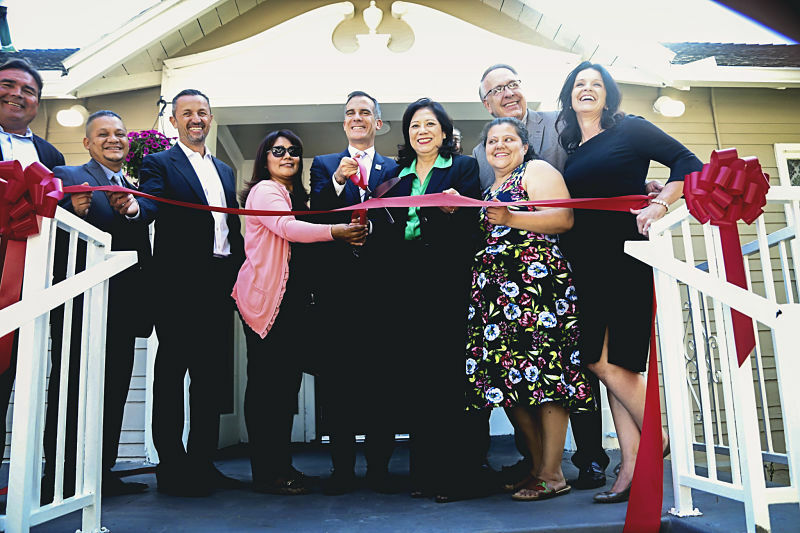 Los Angeles Mayor Eric Garcetti, Supervisor Hilda Solis, Los Angeles City Councilman Gil Cedillo, California Assemblyman Miguel Santiago and other community leaders joined hundreds of residents at a unique celebratory “block party” announcing the grand opening of a new 62-bed recuperative care homeless facility in the Pico-Union neighborhood of Los Angeles. 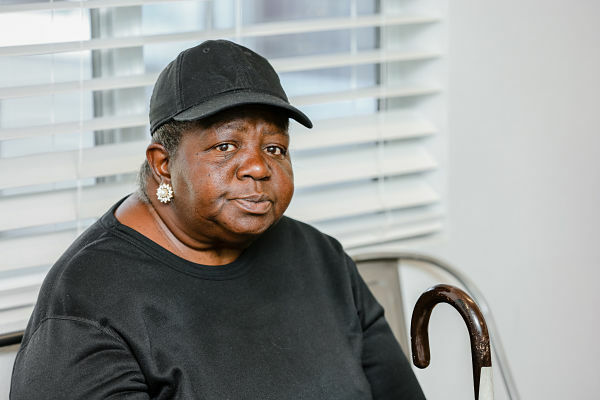 Developed by National Health Foundation, HomeAid Los Angeles and etco Homes, the facility sets a new standard for providing quality aftercare services to homeless patients once they leave the hospital. 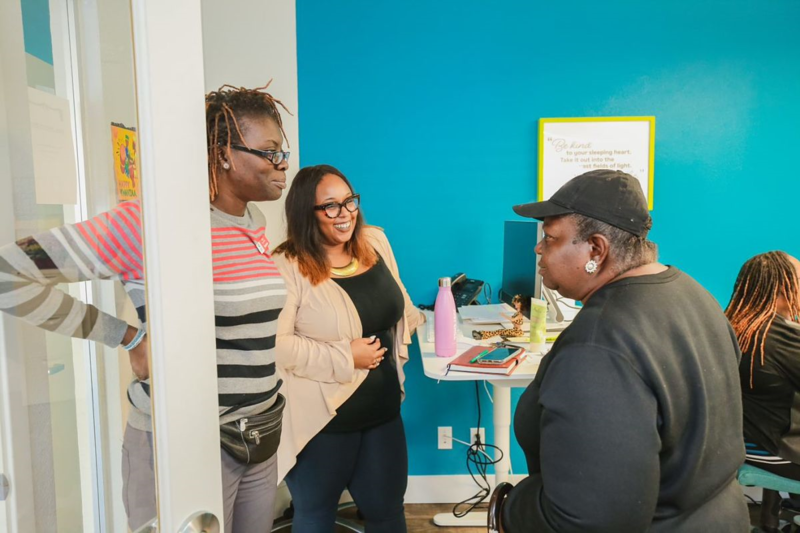 In line with National Health Foundation’s mission to humanize and localize care for those experiencing homelessness, the Pico-Union site features many home-like amenities not typical of recuperative care homeless facilities. Amenities include semi-private rooms rather than dorm-style arrangements, an informal “clothing closet” where residents can access donated clothing and accessories, regular visiting hours and a community garden for neighbor and client use. Meals will be served family-style versus a more traditional cafeteria set-up, with food provided by healthy meal delivery subscription service Fitness Kitchen LA, known for its high quality, fresh and affordable food offerings. A redevelopment of a vacant 100-year-old sanitarium, the project was a partnership between National Health Foundation, HomeAid Los Angeles and etco HOMES. HomeAid provided free and reduced-cost construction supervision, labor and materials, which significantly reduced the overall cost of the project, and etco HOMES served as the project’s build captain. The Los Angeles County Homeless Initiative’s Measure H also provided capital funding. In addition, Woodbury University architecture students were enlisted to design the interior wardrobe space and outside dining area. Neighborhood volunteers helped install windows, paint, assemble furniture and sew curtains, among other activities.